By now you’ve probably heard of Phishing, and even seen the emails in your inbox. 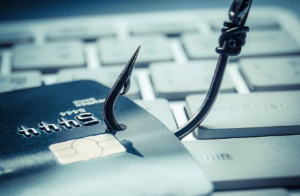 Phishing refers to those scam emails sent to the masses, with the hope that just a few of the thousands or millions of recipients fall victim. Phishing tries to trick us into clicking a link, opening an attachment, or entering sensitive information into legitimate-looking websites. Identifying phishing emails doesn’t have to be complicated, as most phishing emails share common characteristics that savvy readers can recognize. Even if you receive an email that looks legitimate, you should still use caution. Phishing emails may make use of spoofed company email addresses, realistic looking signatures, and logos to look more credible. Keep these three tips in mind when you get an email requesting personal information. Be skeptical of all unsolicited requests for personal information. Always verify that the email is from the real sender before opening. Call or email the sender to confirm it is legitimate. Don’t take the bait. If you have a feeling something is wrong, it’s always safest not to open the email, click the link, or download the attachment. In general, you can look to certain indicators in order to determine whether an email is malicious. For example, do you recognize the sender? Are there grammatical mistakes? Do you recognize where the hyperlink(s) are taking you? Most of all, trust your gut. If a deal seems too good to be true, it probably is. If anything seems even the slightest bit off, don’t open the email or click on links. By learning about Phishing we can all better protect our security at home and in the work place. If you are interested in Phishing education for your business please contact AZTS to learn more! 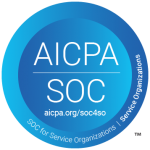 ← Is your Cloud Provider SOC Compliant?